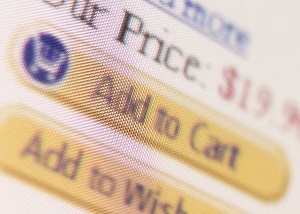 Internet sales tax on e-Commerce transactions? It’s an issue that many e-Commerce businesses haven’t had to worry about – at least not in states where they lacked a substantial physical presence. But things could be changing! If you’re a frequent visitor to The State and Local Tax “Buzz”, you’re probably well aware that I cover developments in the “Internet Sales Tax” area. And my guess (and hope) is that you’ve read some of my contributions on this topic, either here at The State and Local Tax “Buzz”, at SalesTaxSupport.com or at AllBusiness.com. My latest contribution is a newly released whitepaper on the three federal "internet sales tax" proposals currently under consideration by Congress - the Main Street Fairness Act (S. 1452, H.R. 2701), the Marketplace Equity Act (H.R.3179) and the Marketplace Fairness Act (S. 1832). While I’ve covered all three of these proposals in prior posts, my focus had been on explaining the requirements that states would need to meet in order to gain the authority to require out-of-state sellers to collect sales tax on sales to in-state customers. This new whitepaper, “Internet Sales Tax Legislation: What It Means to Small-Medium E-Commerce (A Plain English Guide)”, published by STS Publishing, LLC, was written as a primer for the small-medium e-Commerce business owner and focuses on those features of the three proposals that a smaller e-Commerce seller would be the most concerned about, such as how an exempt “small-seller” is defined under each proposal. The whitepaper opens with an explanation of internet taxation from both a buyer’s and a seller’s perspective - and addresses that common internet sales tax myth about “internet sales being tax free” - a myth too many people still believe. The paper also explains why internet sellers aren’t in fact required to collect sales tax in many states and explains the importance of the Quill decision. While comparing the three bills, the whitepaper also provides an overview of the Streamlined Sales and Use Tax Agreement (SSUTA) and explains how certain states – those that are full members of the SSUTA – would have immediate authority to require out-of-state sellers to collect their sales tax under two of the proposals. And while the whitepaper is comprehensive, it isn't filled with legalese and bunch of tax rules – it’s a plain English version, a succinct explanation of internet sales taxation and an overview of these three federal proposals (with confusingly similar names). At the end of the whitepaper, you’ll also find an RSS link and directions on how to subscribe to my updates on the three federal proposals. I hope you’ll find the whitepaper communicates this confusing topic in an easy to understand fashion and that it contains relevant and useful information. If you’re interested in leaving a question or comment about the whitepaper, please feel free to do leave a comment here at The State and Local Tax “Buzz” or at the SalesTaxSupport.com site. Want to read more about the three federal “internet sales tax” proposals? Below is a listing of the various posts I've written on the federal proposals, including on which site they appeared and the date they were published. You can click on any post title below to see, read and/or print that particular post (each opens as a new window). Missed my last post? Catch it here: "Groupons, Sales Tax and More - The Issues Continue"
Great job keeping on top of this Sylvia! I heard someone today mention that I could buy something tax free if I go to Amazon.com and buy it. Ugh! Derek, Thank you!! Your kind comment is greatly appreciated! As you know, I follow and report on "Amazon Law" and federal "internet sales tax" developments and in doing so, read everything I can on the topic. I'll not only read an article, but will very often read through readers comments and will often see many, many comments which support that too many people believe that their internet purchases are "tax free". We hear more and about the use tax now, but I'm convinced that many people still don't understand that if they make a purchase over the internet, and they're not charged sales tax (and they live in one of the 45 states that impose a sales tax or the District of Columbia), they are required to self-report and remit that use tax to their state.